Once upon a mid-summer's eve in 2014 at the Sonoma County Fairgrounds, I found myself among the masses, waxing poetic about the virtues of cannabinoid therapeutics when I came across what was dubbed "Dab City." Entering the gates of this pop-up metropolis, I witnessed a dystopian future: the inebriated stumbling aimlessly about, consuming cannabis in such large quantities it rivaled a spring-break bender with cringe-worthy hip-hop providing the soundtrack to patients receiving medical care from paramedics for overingestion. Clearly, smoking was no longer what it used to be. A "dab" refers to a concentrated cannabis extract. These extracts are created through solvent-based processes such as CO2 (safe) or butane (not recommended due to residual solvent issues) or through nonsolvent practices used pressure and heat (known as "rosin"). They are generally inhaled using glass pipes, referred to as "rigs," that are heated using a hand-held blowtorch or an electrical heating device. Dabbing is an excellent way to rapidly ingest large amounts of cannabinoids, namely THC. That stated, there are several major concerns regarding this cultural expression of cannabis consumption. First is the prevalence of butane extracts. Even within scientifically constructed closed-loop systems, there is evidence of residual solvent in extracts produced in this fashion. It is highly recommended that user explore safer extract methods. Second is the temperature at which people dab. Generally it appears that most practices involve excessive heat for larger "hits" and bigger exhaled "clouds." 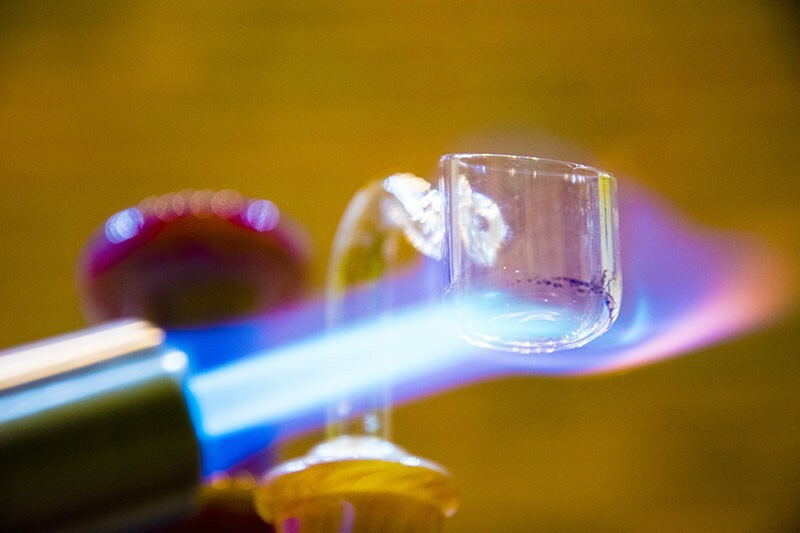 THC and most terpenes (the aromatic compounds that convey unique sensory effects) have a boiling point of 314 degrees Fahrenheit. When heated beyond this point, terpenes will degrade, reducing the entourage effect and resulting in having to consume more to get the same effect. Third, and the most important, is that scientific study demonstrates that chronically excessive THC consumption results in down-regulation of endocannabinoid system receptors. A National Center for Biotechnology Information study titled "Care and Feeding of the Endocannabinoid System," states that a down-regulated receptor "is not functional." This could result in clinical ECS deficiency, signs and symptoms of which are lethargy, metabolic disorders, migraines and depression. Fortunately, down-regulation is reversible through abstinence—and responsible use of marijuana. Patrick Anderson is a lead educator for Project CBD.